Danish Air Show 10. juni 2018 i Aalborg. Civile fly i AAL brugte også startbanen. dage kom der regn lige netop under dette Airshow. Trods regnen havde vi en god day! Næste gang bliver i 2020 i Karup. Danish Air Show 10 June 2018 at Aalborg. Civilian planes in AAL also used the runway. 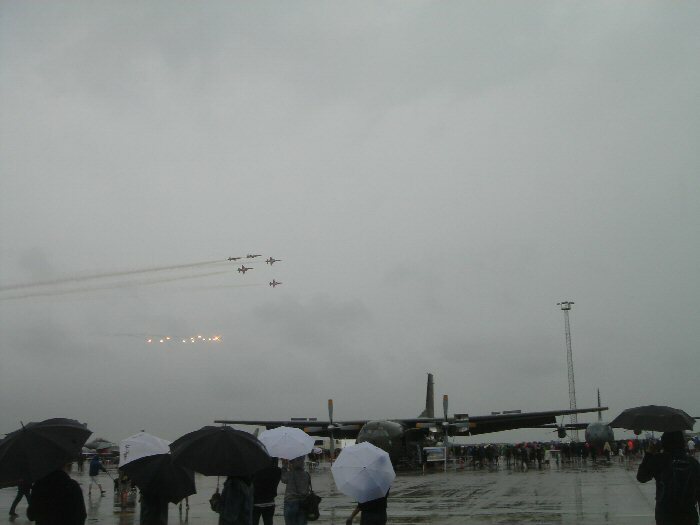 the rain came just during this Airshow. In spite of the rain we had a good time. Next time will be in 2020 in Karup.